One of the largest grand complication wristwatches Patek Philippe makes, the reference 5074P is a self-winding minute repeater with perpetual calendar. 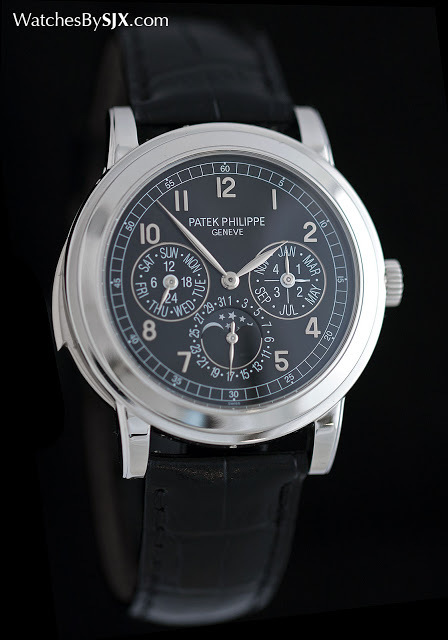 With a wide, flat and polished bezel, the Patek Philippe reference 5074P has a distinctive look similar to that of the discontinued reference 5070 chronograph. 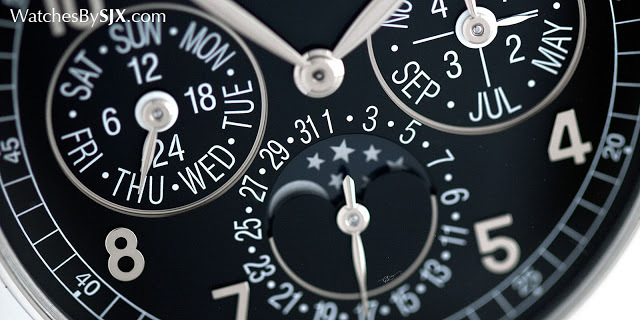 It’s also 42mm in diameter, making it one of the largest highly complicated watches made by Patek Philippe. But the 5074P sports a restrained, almost functional, design that’s almost stealthy. Despite being rather large, it is classically styled, with a look that’s contemporary to that of the reference 5016 (the more recent grand complications watches like the 5207P look more, well, recent). The 5074P is characterised by Arabic numerals and a railway minute track, an altogether formal look that’s a little stiff but handsome. The layout of the perpetual is old school, with everything inside three sub-dials. It’s all quite legible, something enhanced by the monochromatic black and silver colour palette. As is typical of a Patek Philippe grand complication, the view from the rear is richly coloured. 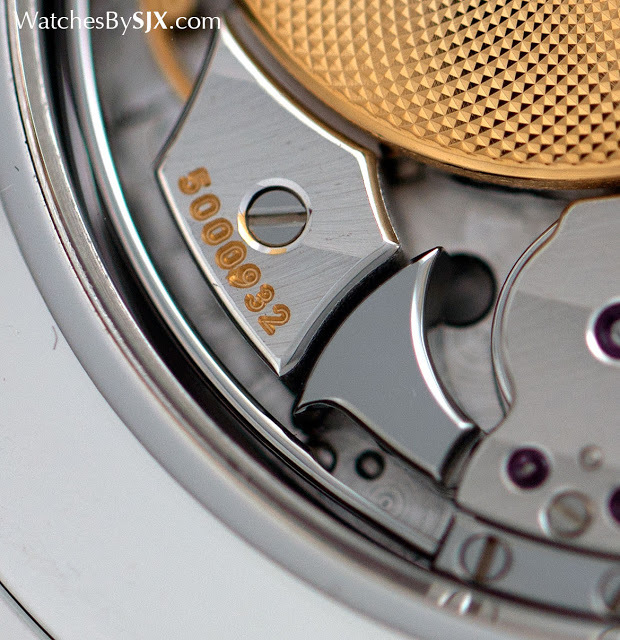 The movement inside is the calibre R 27 Q (“R” stands for repetition and “Q” for quantieme or “calendar”) with two dominant visual features: an open-worked Calatrava cross over the repeater governor and the gold rotor decorated with guilloche. 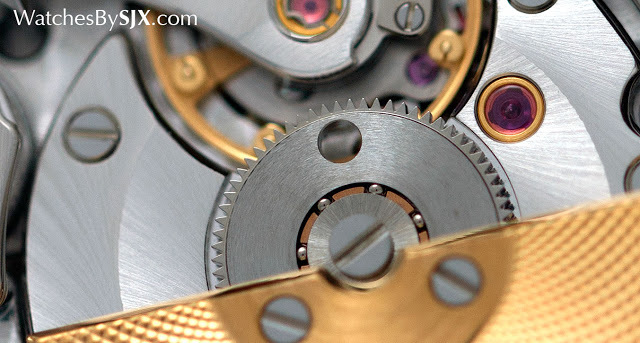 The rotor, however, is large, covering most of the movement. 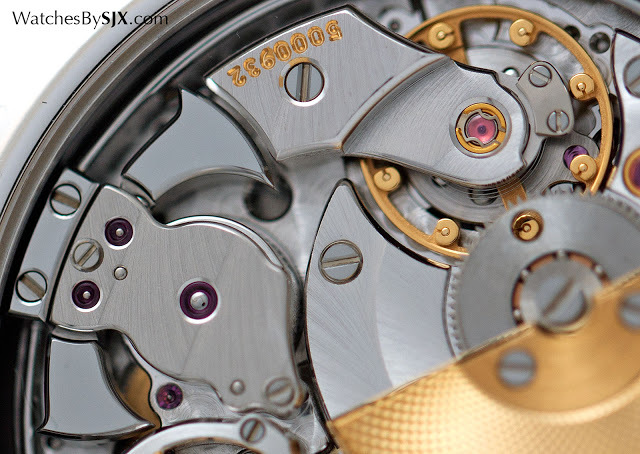 Nonetheless there’s lots to admire in the details, with the movement finishing of an impressive standard. Being platinum, a metal significantly denser than gold or steel, the sound of the repeater does not resonate or linger as long as that of repeaters in lighter metals. 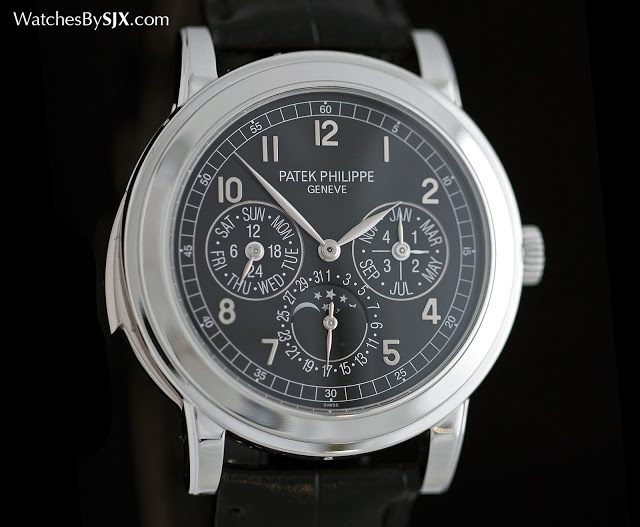 But it is still a Patek Philippe repeater, and sounds good. The 5074P retails for approximately US$620,000 in platinum. In rose gold it costs a bit less, and in platinum with diamonds it costs a lot more. 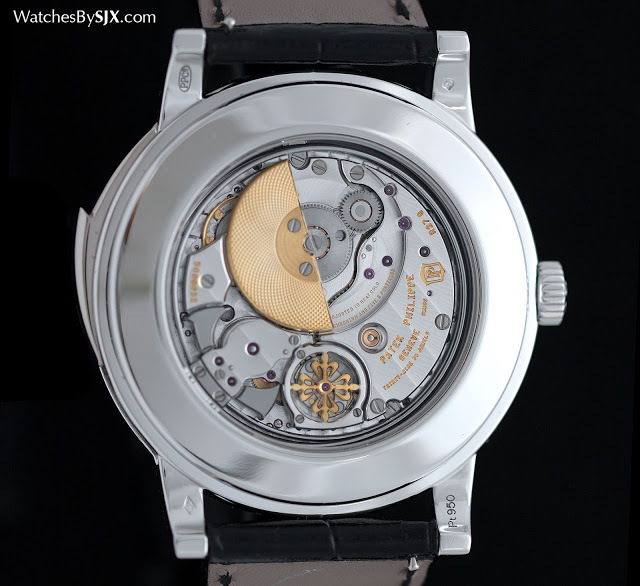 Made from 1986 to 2004, the Patek Philippe Ref. 3970 was for many years the benchmark chronograph with perpetual calendar wristwatch. Widely regarded as less desirable than the preceding Ref. 2499 or subsequent Ref. 5970, the Ref. 3970 is nevertheless a significant timepiece.